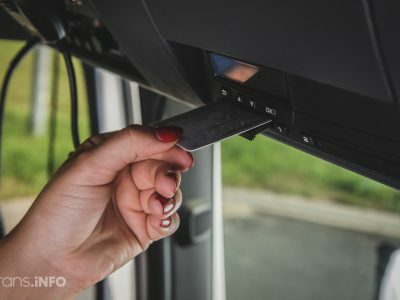 The Canadian authorities want to introduce the obligation to use ELD (Electronic Logging Device), which register not only the driver’s working time but also the location of the vehicle. Work on the draft amendments to the law is underway, but it is already clear that legislators will draw on the experience of the United States. For many Canadian drivers, tachographs will not be a revolution. If they are going to the US, they must have an ELD in a truck. Soon, however (some media report that most likely in the next two years, other that as early as 2019), this device may also be required in their country. The authorities argue that in this way they want to fight the exhaustion of drivers and, consequently, improve road safety. Fatigue is recognized, not only in Canada but throughout the world, as a key risk factor associated with car accidents. The problem of professional driver fatigue is particularly important, as accidents involving lorries or buses can cause much more serious injuries and more frequent deaths than those in which passenger cars are involved – argues the Canadian government, whose message quotes telecommunications company Orbcomm. 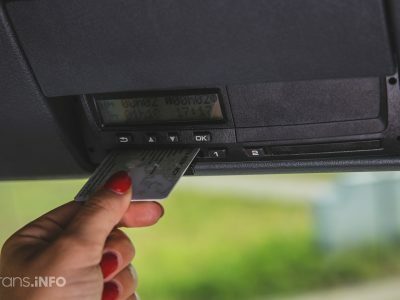 Canada wants to follow the United States, where the obligation to have an ELD was introduced in December 2017. The authorities note that already nearly 75 percent of regulations regarding drivers’ working hours are almost identical in these countries. For now, there are no media reports indicating that the plans of the Canadian government would meet with protests from the transport industry. Last year, when the obligation to use tachographs imposed on the drivers of the United States, the reaction of carriers was rapid. The Americans formed a campaign „Operation Black and Blue”, during which they demanded the abandonment of the rules that they think would pose a huge threat to transport, and also introduce excessive control over civil liberties. After all, the ELD not only records the driver’s working time but also the route on which it moves and its driving style. At the beginning of this year, the actress of „Star Trek” and the owner of the transport company Brita Nowak became the face of the battle with tachographs. In the act of opposition … she simply shut down the company. It seems that a quiet rebellion continues. At least to some extent. Recent data show that up to one third of drivers still record working time not using tachographs, but paper books used in the US since the 1930s, read the document entitled „2018 Telematics Benchmark Report” prepared by Teletrac Navman. Even those who have invested in ELD use it only in a very basic form. Only slightly over 30 percent of users monitors, for example, fuel consumption. Theoretically, as experts point out, in the field of driver’s work time nothing has changed, and the difference lies primarily in the fact that it is harder to cheat with the ELD. What’s more, thanks to telematics systems, drivers were to save up to 20 hours a year on paperwork. Meanwhile, it turned out that the American drivers were surprised. Already in December, the media circulated pictures depicting trucks parked in groups, a few pieces on the side of the road, because by the pause the drivers were unable to reach the parking lot. In April, producers of consumer goods began to admit that they had recorded increases in freight prices. And that’s significant. Coca-Cola reports that the cost of transporting goods has gone up by 20 percent year-on-year in the first quarter of 2018. Profits of other giants on the US market, such as Procter & Gamble, Danone and Nestle, have also dropped due to price increases in the transport sector. There were several reasons for this – weather, general dissatisfaction of drivers at work and changes in the registration of working time. The latest research shows that this year, shippers in the United States „have seen one of the largest increases in transport costs for 20 years,” freightwaves.com reports. 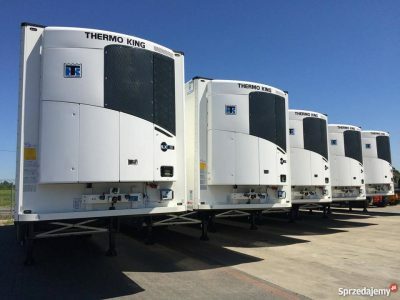 The reason behind the deteriorating situation in the production and transport industry is, next to the hurricanes … the introduction of ELD. Among other problems related to ELD, indicated by the industry in the United States are also: reduced infrastructure capacity, difficulties in finding carriers for longer routes (who are afraid that they will not be able to deliver goods due to time constraints) and the risk of increasing the shortage of drivers. Will it stay this way? Too early to assess with absolute certainty. An interesting opinion on this subject, however, is voiced by the authors of the already mentioned document „2018 Telematics Benchmark Report”. In their opinion, the use of ELD and in general telematics in transport companies may, paradoxically, attract young people fascinated with technology to work. In addition, data collected by the system could be used to assess the performance of drivers and reward the best. Meanwhile, more than 40 percent of carriers do not reward drivers for how they work – notes supplychaindive.com, discussing the results of the report. The authors of the report also indicate that the decision on the obligatory ELD in trucks clearly underlined the division that has been taking place for some time in American transport – for carriers who use modern technologies, including telematics and those who do not. 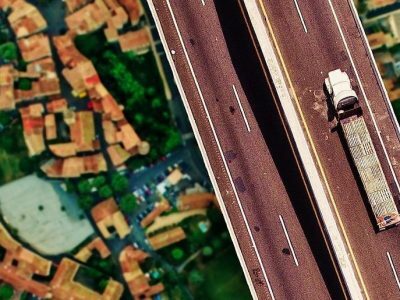 Because today ELD is required by law, companies that want to gain a competitive advantage „must put on more sophisticated indicators related to vehicle tracking, such as route optimization and driver style driving.” Those who will abandon new technologies at all will not count on the market.